When your gums have started to pull away from your teeth, scaling and root planing remove plaque deep between the teeth and gum, down to the root. If you have gum disease, combined with heart problems or an impaired immune system, scaling and root planing can help prevent dangerous bacteria from entering your blood stream and creating serious health complications. A sealant is like an invisible force field that protects teeth from bacteria and cavities. Our dental team can apply a thin layer of resin to your healthy teeth that bonds in a few minutes and will protect them for years. Bite-wing X-rays detect decay between teeth and changes in bone density caused by gum disease. Panoramic X-rays show all the teeth in both the upper and lower jaws in a single X-ray. At Corpuz Family Dentistry, you will view your digital x-rays on a monitor right in front of you. Digital x-rays also have much less radiation compared to the old way of taking the films and processing them. You might not realize that you grind your teeth at night, a process known as bruxism. Excessive teeth grinding can crack and chip teeth, and even cause you to wake up with headaches. A custom molded occlusal night guard, sometimes called a bite guard, can easily protect your teeth and reduce clenching, grinding and TMJ (temporal mandibular joint) problems. This simple treatment can help with bruxism and remove the cause of some migraine headaches that are induced by this grinding and TMJ. We are pleased to offer athletic mouth guards from Under Armour. Increases strength with more airflow and less stress. Increases endurance: ArmourBite opens airways. This results in up to 25% less lactic acid build-up after 30 minutes of intense exercise. Speeds up reaction time: athletes respond faster when wearing ArmourBite. Clinical trials show improved response times to both auditory and visual cues. Reduces athletic stress: excess cortisol causes stress and fatigue. ArmourBite decreases cortisol levels, so you perform better! While there is nothing wrong with a traditional, manual tooth brush, an electric tooth brush often makes it easier for people to brush their teeth longer and more correctly. Using an electric toothbrush gets rid of more plaque and promotes healthier gums too. Cavities, new fillings and gum disease can make teeth more sensitive to air, and the temperatures of food and beverages. We use a special gel to help take the ouch out of eating your favorite hot and cold foods. 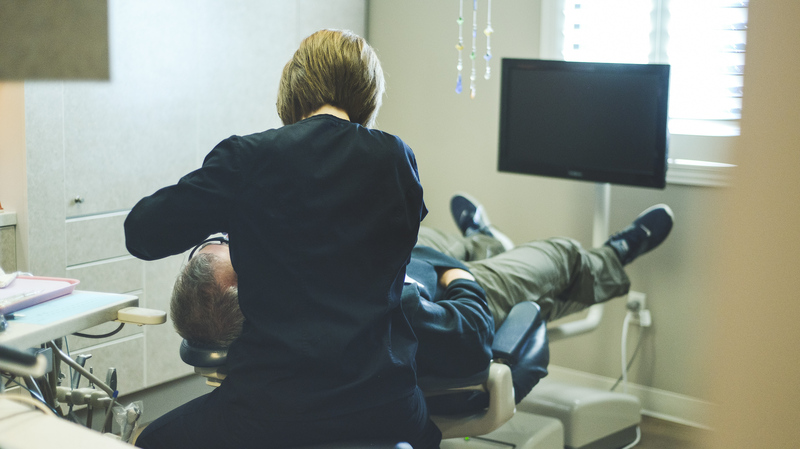 We perform oral cancer screenings during every dental visit. The screening consists of a visual inspection of the mouth and palpation of the jaw and neck. Regular visits improve the chances that any suspicious changes in your oral health will be caught early. We practice gentle dentistry. Some patients prefer oral sedation or the use of nitrous oxide, which is a safe and effective sedative agent. It is mixed with oxygen and inhaled through a small mask that fits over your nose to help you relax. We are pleased to offer our patients this extra comfort. Even if you brush and floss regularly, plaque can still build up leading to cavities and gum disease. During your regular checkup, Dr. Corpuz and his dental team look for more than signs of tooth decay, they also looks for periodontal disease, oral cancer and even signs of diabetes. Recommended every six months, dental cleaning or prophylaxis removes built up plaque above and below the gum line. When a tooth has become broken too much to be stable with a filling, a crown can be used as a protective covering to restore the look and strength of your tooth. They are commonly made out of porcelain that is bonded to metal. Traditional crowns can take two or more visits. Thanks to advanced CEREC (CEramic REConstruction) technology, we are able to offer our patients the convenience of same day crowns for most cases. There are a few exceptions where the traditional crown is warranted. Amalgam fillings have been used for more than 150 years in dentistry. These are the silver-colored fillings you may have received as a child to restore a tooth damaged by decay. Composite fillings have been in use since the 1970s and are made of a polymer that forms a hardened plastic that can be matched to the color of your teeth and look more natural. In most cases composite is Dr. Corpuz’ material of choice, but sometimes an amalgam fits the need. Root canals sound like a terribly painful experience, but we are happy to tell you that modern dentistry can make the process virtually painless. Deep cavities and cracked teeth can allow bacteria to infect the pulp which lies in the center of the tooth. Left untreated, the pulp infection can become very painful and threaten your health. Our gentleness has left some patients sleeping during the procedure! Used to replace missing teeth, a bridge is a partial denture that is permanently fixed in place. Invisalign is the clear alternative to metal braces for adults, kids and teens. These clear aligners are the virtually invisible way to improve your smile and treat a wide variety of cases, including crowding, spacing, crossbite, overbite and underbite. Chipped, broken, discolored or gapped teeth can painlessly be bonded with a composite resin that is shaped and color matched to your teeth to quickly restore your beautiful smile. If you have crooked, chipped or cracked teeth, veneers can make over your smile with thin porcelain shells that completely cover your front teeth, leaving you with a beautiful grin from ear to ear. Have your pearly whites lost a bit of their natural sparkle? Over time, your teeth can become stained from beverages like coffee, get chipped or cracked, or start to discolor from trauma. Teeth whitening is a simple procedure that lightens discolorations and restores the brightness of your smile. If you have had a crown in the past, or have been putting off getting one because you are dreading the process that typically takes place over multiple visits, Corpuz Family Dentistry is about to change your experience. 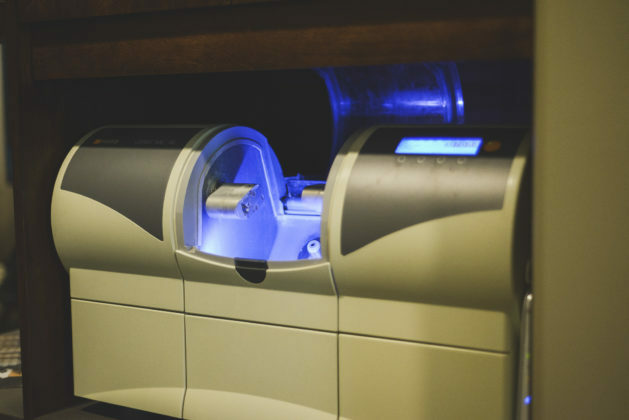 Using CEREC technology, for most cases, it is possible to have a crown created in minutes based on a digital scan of your tooth. The result is a color matched, durable replica of your existing tooth that can be installed the same day, right here while you wait in our Omaha dentist office! Invisalign is the clear alternative to metal braces for adults, kids and teens. These clear aligners are the virtually invisible way to improve your smile and treat a wide variety of cases, including crowding, spacing, crossbite, overbite and underbite. Here are some of the benefits! You can brush and floss your teeth normally.